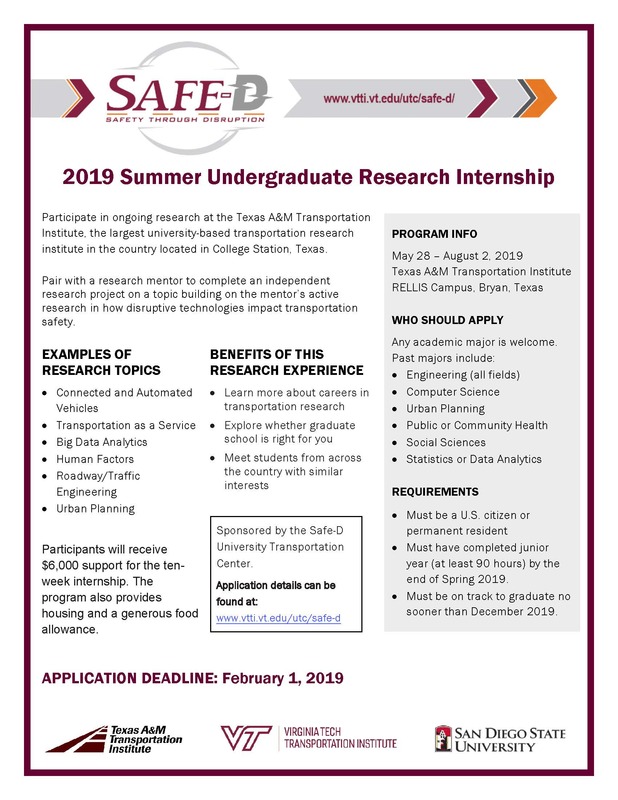 The Safe-D National UTC is pleased to announce that applications are now open for the 2019 Summer Undergraduate Research Internship! The 10-week internship provides compensation of $6,000, housing near the main campus of Texas A&M University in College Station, Texas, and a generous food allowance. The program is designed to provide outstanding undergraduate students an opportunity to contribute to ongoing research in how disruptive technologies impact transportation safety and further their knowledge of the transportation safety field. Learn more about this program and submit your application using the links below!